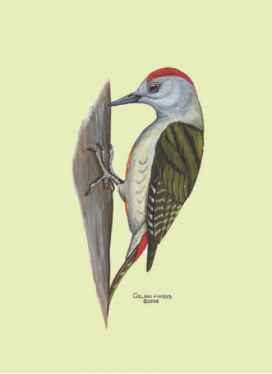 Physical characteristics: Gray woodpeckers are small woodpeckers with a long, straight, rather wide bill, unbarred green or brownish green upperparts, a red rump, a brownish black tail, and gray under parts with an orange-to-yellow belly patch and some barring on the flanks. Males have a pale, striped, gray head with red on the back of the head and neck, while females lack the red on the head. Adults are about 8 inches (20 centimeters) long and weigh between 1.4 and 1.9 ounces (40.5 and 52.5 grams). Geographic range: They range throughout the forests and savanna habitats in central and west Africa; from sea level to 9,800 feet (3,000 meters). 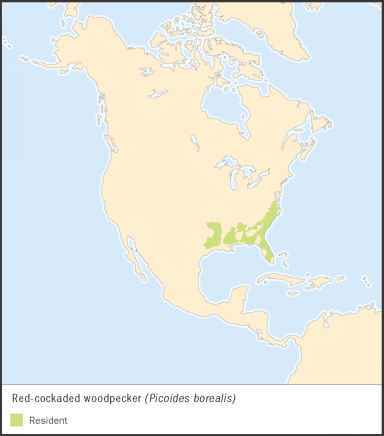 Habitat: Gray woodpeckers inhabit wooded and savanna areas, thickets with large trees, riverine (near rivers) forests, gardens, and mangroves. Diet: Their diet consists of insects, ants, termites, beetle larvae, and other arthropods. They forage on the ground, in live and dead trees, and in the air. Behavior and reproduction: Gray woodpeckers are found in pairs and family groups. They move quickly through its habitat, and often remain near forest edges. Their call is a loud and fast "peet-peet-peet-peet." 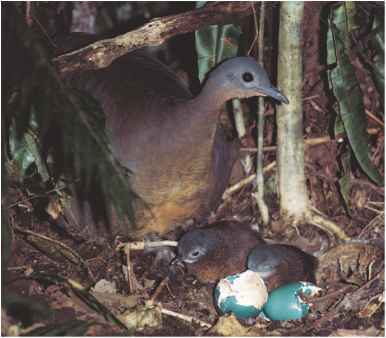 The nesting period is from December to June in west Africa; December to February and July to September in the Democratic Republic of the Congo; and February to July and September to November in eastern Africa. The breeding pair digs out the nest cavity from a tree, usually 1 to 60 feet (0.3 to 18.3 meters) off the ground. Clutch size is two to four eggs. There is no known information about incubation, parental care, or fledging. Gray woodpeckers and people: There is no known significant relationship between gray woodpeckers and people.